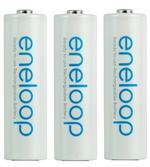 BK-3MCCA-3 : set of 3 x AA ENELOOP rechargeable NiMH batteries READY TO USE. For handheld scanners, two-way radios, Uniden trunktracker radios (396, 496), etc. FRS-008-NH: 4.8v 800mAh NiMH battery for Motorola, Uniden FRS radios. Replaces IXNN4002, BP-38, BP-40, BT-537, BT-1013. Fits radios such as TLKR T4/T5/T6/T7/T8/T50/T80; GMR1038, GMRS380, GMR885, GMRS680, GMR885, GMR895, and more (see x-ref list). BP-120 : 4.8 volt 800mAh rechargeable Ni-Cd battery pack for Bearcat, Uniden, SportCat scanners etc. BP-120 : 4.8v 800mAh Ni-Cd battery pack for Bearcat, Uniden, Sportcat scanners. Fits BC120, BC220, BC230, BC235, BC245, BC250D, BC296D, BC120LXT, BC235XLT, BC245XLT, SC150, SC180, SC200, Radio Shack PRO90, ScanCat, TrunkTracker, etc. Repl. BP-120, BP-250. WC-120: Wall Charger for Uniden, BearCat, SportCat, TrunkTracker radios etc. WC-120: Wall Charger for Uniden, SportCat, BearCat, TrunkTracker handheld scanners. Input 100-240VAC (worldwide; output 12v 200mA. Plugs into radio to charge battery. BP-120s: 4.8 volt 1100mAh rechargeable long-life Ni-Cd battery for scanners such as Uniden, Sportcat, Bearcat, BC120, BC220, BC230, BC235, BC245, BC250D, BC296D, BC120LXT, BC235XLT, BC245XLT, SC150, SC180, SC200, PRO90, Trunk Tracker, Trunk Tracker II. BP-120xe: 4.8 volt 2100mAh ENELOOP Ni-MH battery for Bearcat, Uniden, SportCat, Trunk Tracker, Trunk Tracker II, BC120, BC220, BC230, BC235, BC245, BC250D, BC296D, BC120LXT, BC235XLT, BC245XLT, SC150, SC180, SC200; Radio Shack Pro90. PRE-CHARGED. BP120xh : 4.8 volt 1800mAh rechargeable long-life Ni-MH battery pack for handheld radios. Fits Uniden, Sportcat, Bearcat, Trunk Tracker, Trunk Tracker II etc. MADE IN USA. Replaces BP120, BP180, BP250, BP1000, BP1600. BP-120x : 4.8 volt 1650mAh rechargeable Ni-MH battery for Bearcat, Uniden, SportCat scanners etc. BP-120 : 4.8v 1650mAh rechargeable Ni-MH battery pack for scanners such as Uniden, Sportcat, Bearcat, BC120, BC220, BC230, BC235, BC245, BC250D, BC296D, BC120LXT, BC235XLT, BC245XLT, SC150, SC180, SC200, Radio Shack PRO90, TrunkTracker, etc. BP-294x : 7.2 volt 1700mAh rechargeable long life Nickel Metal Hydride battery pack for Uniden scanners. Xref: BBTY0294001, BP294, BT294, NPC50, SPH21, SPU21, SPU21KIT, SPUH21. BP-250xxe: 4.8 volt 2550mAh eneloop Ni-MH battery for Uniden, Bearcat, SportCat, Trunk Tracker, Trunk Tracker II handheld scanners. Exclusive from BATTERIES AMERICA. Arrives to you PRE-CHARGED & READY TO USE ! Replaces BP-120, BP-180, BP-250. BP-294xe : 7.2 volt 2000mAh NiMH ENELOOP battery for Uniden SPH21, SPU21, etc. PRE-CHARGED & READY TO USE. 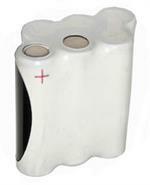 The BP-294xe is a 7.2 volt 2000mAh rechargeable battery pack, made with SANYO ENELOOP Ni-MH cells. Arrives to you CHARGED and READY TO USE. Fits in Bearcat-Uniden radios such as SPH21, SPU21, SPUH21. Replaces battery #s BP294, BBTY0294001, BT294. APX1100: 7.2v 1200mAh rechargeable NiCd Battery Pack for Uniden walkie talkies - fits APX1000, APX1100, SPS310, APX1145, SP1100, SP310TX, SPS301, SPS310TX, SPS320, SPS320TS, etc. Battery can be slow-charged or fast-charged with stock Uniden chargers. The BP-294 is a 7.2 volt 700mAh rechargeable battery pack for Uniden radios such as SPH21, SPU21. This battery pack fits inside radio, and recharges with the stock wall charger. The BP-294h is a 7.2 volt 1100mAH rechargeable battery pack for Uniden scanners. 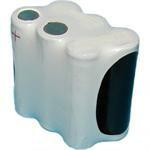 Replaces orig # BP-294, Fits in SPH21, SPU21 scanners etc. Provides up to 75% more operating time than the original battery.